Long story, short: Nevada is HUGELY important this election cycle. Check out this blog post I wrote for BeVisible.soy about Mobilizing the #LatinxVote! Latinxs are a force to be reckoned with. Latinxs are running for president, high-up in campaigns and providing political commentary this campaign season. We’re mobilizing political movements, voters and fighting for change. To sum it all up, we are a powerful voting bloc, and we’re changing the face of politics. It’s time to embrace that power, and do everything we can to mobilize our communities! As the 2016 presidential campaign season ramps up, there’s a lot of talk about the “Latino vote” and the Latinas behind the 2016 presidential candidates. This relatively new focus on the Latino vote – together with the inclusion of Latinos in campaigns – is a promising sign that Latinos will be taken into account when public policy is shaped. However, Latinas are already making history as candidates in their own right. In fact, Latinas have won seats across the country, and many made history on Tuesday. Even more, many of these Latinas were advocates and champions for their communities even before they decided to run. Take Judith García for example. At the age of 24, she serves as a bilingual counselor at Health Care for All, where she advocates for members of her community to gain access to health care services. She also volunteers in several capacities to improve housing and living conditions, sustainable waste disposal, and educational success in Chelsea, Massachusetts, where she was born and raised. García was elected to represent her community as a Chelsea City Councilor for District 5. In Colorado, Jordan Sauers joined Judith in becoming an elected Latina Millennial. Jordan however, made history by becoming the first Latina to hold her seat. No stranger to forging a path where there isn’t yet one, she is a founding board member of Latino Young Philanthropists and ACCESSO. 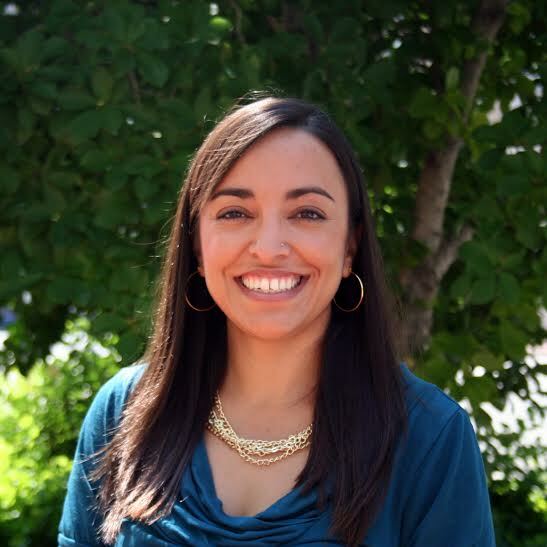 When interviewed by LatinasRepresent about why she chose to run, Sauers was quoted saying, “I understood if I wanted things to change, I had to do them myself.” Now that she has been elected to Northglenn’s City Council to represent Ward 1, she will be able to do just that. Lorena González also made history when she was elected to Seattle’s City Council Position 9. As a candidate, she has built her platform around affordable housing and social inequality, grounded in her past experience with these issues – and there’s a lot of it. In fact, González has been recognized by several national organizations for her work with civil rights law. During her time as legal counsel for Seattle Mayor Ed Murray, she has also helped draft legislation to overcome institutional inequality. This includes helping to introduce and pass a paid parental leave policy for city employees. There is no doubt that her commitment to upholding civil rights and fighting injustice will serve her well in her new role. In Yakima, Washington, two Latinas have made history as well in a different way. Recently, the American Civil Liberties Union won a case against the City of Yakima because of the suppression of the Latino vote in City Council races. This case, involving the Voting Rights Act, changed the Yakima City Council districts. In the wake of this re-districting, Dulce Gutierrez and Avina Gutierrez ran and won seats on the Yakima City Council. They became the first Latinas elected to Yakima’s City Council – simultaneously. Dulce, only 26 years old, was elected to represent Yakima City Council, District 1. She was raised in Yakima and chose to return home after attending college at the University of Washington. She works at a local business, and has served as State Committeewoman for Yakima County. Avina will represent Yakima City Council, District 2. At the age of 35, Avina runs her own consulting firm, joining the growing ranks of Latina entrepreneurs. On the council, she hopes to improve Yakima’s infrastructure and strengthen neighborhood associations to improve overall public safety. What do these women have in common? They are all a part of a movement of Latinas getting involved in politics. Moreover, most of these women are the first Latinas to serve in the positions to which they were elected. And consider this: Latinas currently hold a mere 1.7% of the total seats in state legislatures and 1.2% of the total seats in Congress – despite the fact that Latinos make up 17% of the total population. This means that there are 9 Latinas in the 114th Congress, all of which are in the House of Representatives, since the United States has yet to elect a Latina to the Senate. This is not surprising, considering the first Latina congresswoman, Ileana Ros-Lehtinen, was first elected in 1989. But as Judith, Jordan, Lorena, Dulce, and Avina have proven, lack of precedent won’t stop Latinas from running for office. My dad and I, before the awards ceremony. Me, talking about my decision to run. Another shot of the Councilwoman and the three of us Commissioners. Last night, I had the honor of going to Running Start’s Young Women to Watch Awards. Running Start is a non-profit, non-partisan organization that trains young women to run for office. I first got involved with Running Start last fall, as an intern. In that role, I was not only able to learn the inside workings of a political non-profit in DC, but I was also exposed to a plethora of passionate, young, successful women in politics. This exposure, as well as the fact that I was working at an organization whose mission is dedicated to getting more women involved in politics heavily influenced my decision to run for office. I was invited to speak at the Young Women to Watch Awards, alongside Jessica Smith and Allyson Carpenter; both of which are Advisory Neighborhood Commissioners as well. Being able to share my story, and hearing how other women reflect on their own experience getting involved in politics was incredibly powerful. On a more personal note, both of my parents flew in from Miami, Fl to be there for me at this event. This was my first time be acknowledged at an event for being a DC elected and I was so appreciative that they were able to share that with me. I have always had unconditional love and support from my family, and I truly believe that my drive to succeed stems from my desire to give back to them. This event was a fundraiser, at the National Museum of Women in the Arts. DC politicos, elected officials, donors and young professionals alike were in attendance. My family is not politically active, and we have never gone to fundraising events unless they were PTA fundraisers at the school were my mom works. As a family, we were a little out of our element. However, I knew we belonged where we were- after all, I was being honored as a woman to watch! Being able to share experiences like these with my parents, who have always unconditionally supported and loved me was the most rewarding thing I have ever done. I’m so grateful both to Running Start for opening up the door to the world of politics for me and my family for making me confident enough to walk through it. When thinking about the need for more representation in politics, it is important to acknowledge the people working to make politics more inclusive. While I believe there are not enough people of color, women, [fill in the blank with your choice of underrepresented identity], it’s important to note that people of all identities have always been involved in political struggles. People of all identities have advocated on behalf of themselves and others as well. In a country where most people publicly acknowledged for their political influence and achievements are older, white, heterosexual men I want to acknowledge the work of Sarah Audelo. How and when did you become involved in politics? I really got involved during undergrad. Mostly, I focused on global HIV and AIDS activism, and pushing back against the abstinence-only position of the US government when it comes to foreign aid and AIDS prevention. I started getting engaged in high school though, a family member of mine had HIV, so I had been aware of it, but I took more of an activist role than a one involved in politics. How do you bring your identities into your politics? As a mixed-race, fourth generation Latina, I try to be as cognizant of who’s at the table when decisions are being made. I try to think about who I’m working with and for to come up with policy solutions. I think it’s important to ask: How are you involving the communities affected? How are you communicating with them and others involved in the process? What communities do you find are often “not at the table”? Young people are not at a lot of decision-making tables. This includes low-income youth of color, young people who don’t go through “traditional” college pathways, people that go back to school, people that have to work to support themselves, queer youth, queer youth of color. Many people don’t get the chance to come to the table, but when we do, I think many of us bring all parts of ourselves. How can we work to bring more voices to the table? When working on policy we need to be more conscious of who we talk about, but don’t involve. The truth is, if you’re not at the table, you’re on the menu! There needs to be a conscious attempt to help build pipelines. Larger conversations in all political spaces are necessary, but at a more individual level, it’s important to look around when talking about issues and see who’s missing? We need to welcome people into these spaces, provide them jobs. It’s important to challenge the spaces that already exist, but targeted outreach needs to be done. Sometimes, that means up-ing the salaries at non-profits and government organizations so that people can live off of their wages. We need to think differently about hiring, how we’re paying people and how we’re recruiting them. I know you currently focus on policy, but have you considered running for office? I’m glad you asked, because I think it’s very important to ask people to run. But I don’t think that is my strength, forte or interest. I wouldn’t minding working for and with people to help them run for office, but I’m not interested in running.